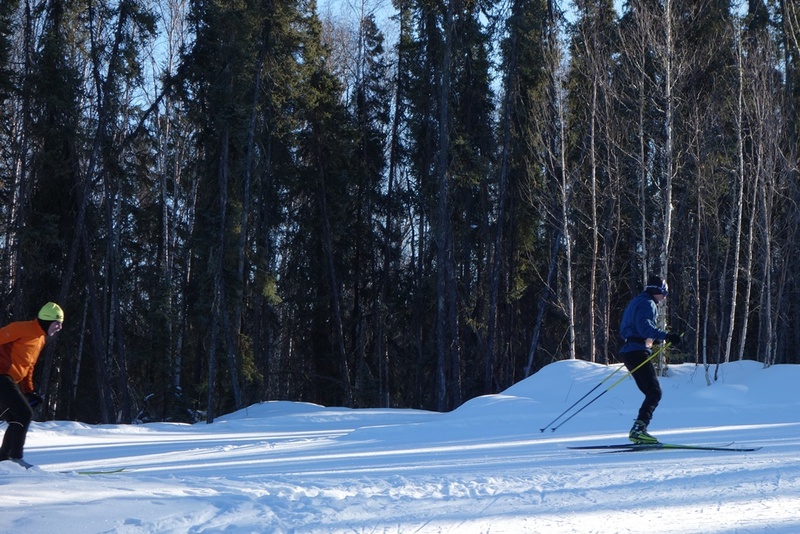 March is marathon month for Alaskan nordic skiers with the Tour of Anchorage taking place today, the Kachemak Marathon in Homer on March 8, followed by the Oosik in Talkeetna on March 15, and normally, the Sonot Kkaazoot the weekend after the Oosik. 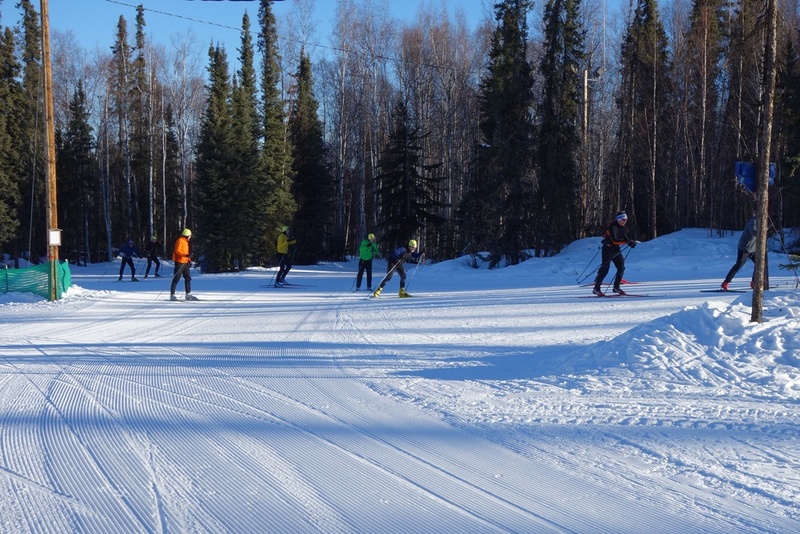 Because of the Arctic Winter Games being held in Fairbanks during the traditional Sonot Kkaazoot week, we’ve got an extra week to prepare for the Sonot Kkaazoot, which this year will be held on March 29. When I finished, some of the SCUM were already home enjoying a beer for their efforts. However, a significant number of SCUM were still resting in the warm-up hut with coffee and sticky buns as their rewards for skiing the Grand Tour. Conditions were great as even the red lantern (yours truly) finished in just over 3 hours. Thanks to our awesome groomers, no excuses were needed. 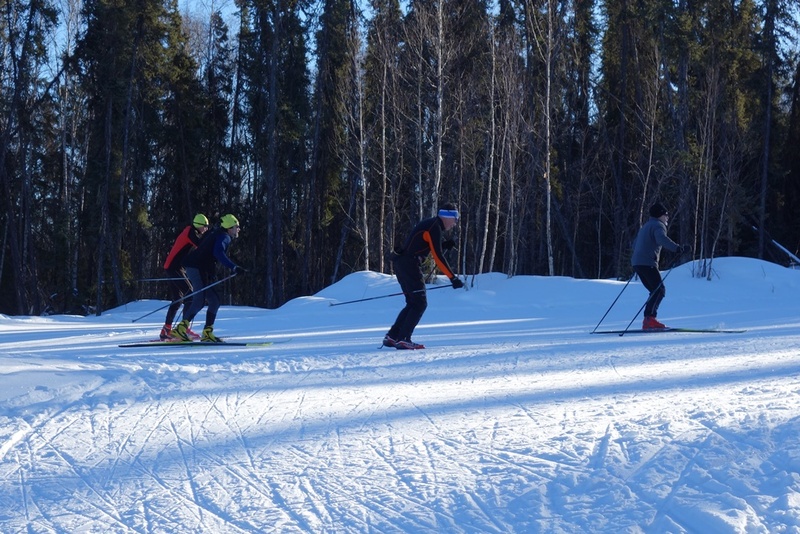 Having skied the Grand Tour, we felt a little more prepared for the 2014 Sonot Kkaazoot. or at Beaver Sports, Goldstream Sports, or Raven Cross Country until 21 March 2014. 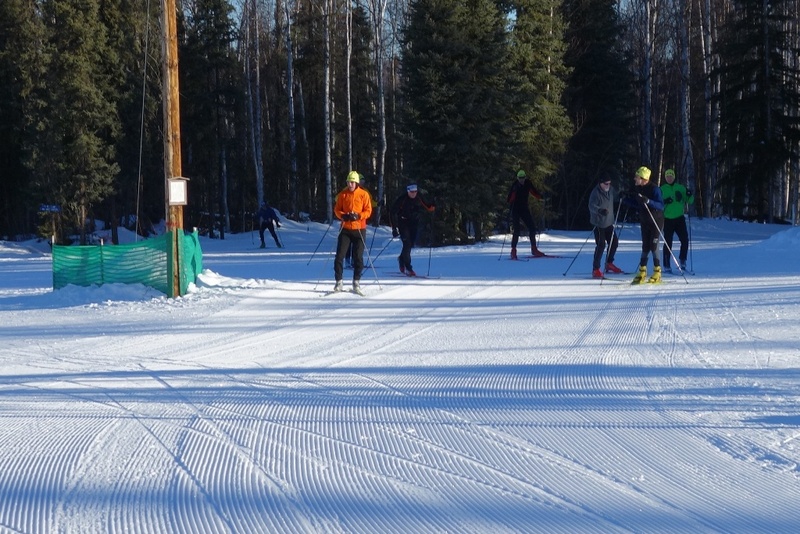 This entry was posted in Sonot Kkaazoot race organizers, Training Ideas and tagged Birch Hill Recreation Area, Grand Tour, Tour of Birch Hill, trail grooming by Sonot Kkaazoot. Bookmark the permalink.